African football has been shaken in recent months by the arrival of a new team that aims to change the continent's football. The African football has been shaken in recent months by the arrival of a new team that aims to change the scenario in which is currently the football of the continent. The Egyptian Pyramids FC has broken all molds in terms of spending on transfers and salaries reaching figures that had never been seen before. The latest addition has been that of the Spanish-Spanish attacker Cristian Benavente, paying six million euros to the Belgian Sporting Charleroi and three million a year to the player. A level that had never been reached. Everything begins in the summer of 2018. Turki Al Sheikh, president of the General Entertainment Authority, former Saudi sports minister and friend of Mohamad Bin Salman, Prince of Saudi Arabia, buys a team of the Egyptian league, the Alassiouty. I had ascended for the first time in 2014 and was no more than a humble of the domestic championship. The arrival of the Saudi investment changes everything and the initial outlay was 40 million euros in signings and salaries between players and staff members. Among those technicians hired was the Argentine Ricardo La Volpe. "I started as a consultant, then I had to take over as a coach because Alberto Valentim left, and the goal in the short term is to qualify for the African Championships, rather than winning the championship, which is difficult in a year, to achieve that classification." The technician tells this newspaper. Turki Al Sheikh is behind the Supercoppa of Italy is played in Saudi Arabia and the transfer of Saudi players to clubs in LaLiga, among other things. His relationship with Egyptian football begins when it is appointed honorary president of Al Ahly, national giant, who asked for money for his serious economic crisis, and who saved from bankruptcy by contributing, according to Sheikh himself, 13 million euros. Fans were upset by the honorary president's decision to take Ramón Díaz to Al Hilal (Saudi Arabia) and not his team, as had been speculated in the press, which led to him protesting against him and insulting him during the development of some games. That caused his departure from the honorary presidency and the reaction of buying another team in the country to make it the largest. From that anger is born the Pyramids FC. Surbre Al Sheikh could be written several novels. The Saudi sports minister is a man of volatile attitude, which makes controversial decisions in a short time and that, on the date of preparation of this reportage, has changed coach three times in just seven months of existence. "I was with him three or four times in meetings, at first glance you see his impetus, his desire ... He wanted to be first or second to enter the African Championships, he reinforced himself very well, he has bought very good players" , comments Ricardo La Volpe, who was sports director and coach of Pyramids FC. "He is a man of a lot of money and wants to win everything with his club, he wanted to do it at Al Ahly, but here it is all more democratic, more organized. On the other hand, he moves everything by checkbook, he is paying large amounts for players, Eight million in one, six in another ... The portfolio at the end tells ", says Martín Lasarte, who since December is coach of Al Ahly , the most successful team in Egypt. 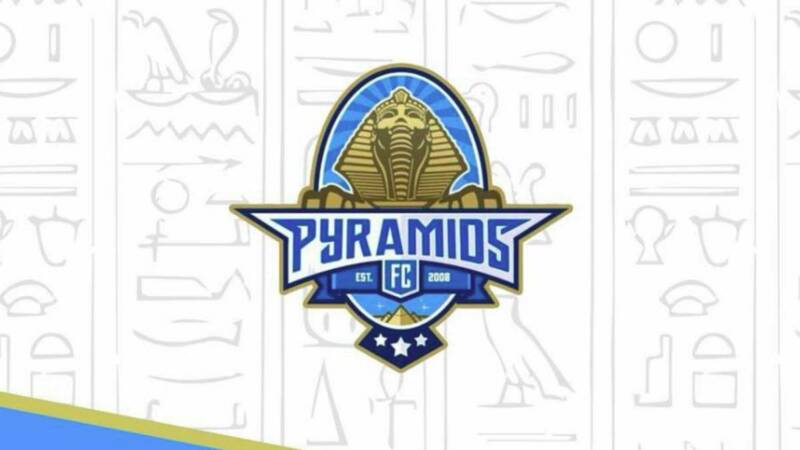 Significance that the Pyramids FC changed location with his birth. The team moved to Cairo and adopted the Stadium June 30 as their new home. That modification forced that, according to BabaGol, a reference portal for football information in North Africa, fans were "hired" to attend the matches that the newly created club was playing. In Egypt, football fans were not allowed access since the tragedy at the Port Said stadium in 2012 that left 74 dead, but coinciding with the arrival of the new club, the law was modified and, therefore, six years after the fans could return to the stands in matches of the domestic tournament. Respect to the policy of signings performed by Pyramids, we must remember that he has made movements that had not been seen in African football ever. For example, the signings of Brazilian players: Keno (8.6 million euros, from Palmeiras), Carlos Eduardo (5.2 million euros, from Goiás, sold to Palmeiras) or Rodriguinho (5 million euros from Corinthians, which has not been registered for the second part of the championship) . He has also taken the opportunity to gain local talent. The Egyptians Ahmed El Shenawy and Ali Gabr, important men of the league and the national team. Even Omar Khrbin, one of the bestAsian players of the moment, has joined the project donated from Al Hilal. Recently it has sought to take advantage of South American talent. In December Jhon Cifuente joined the project, an Ecuadorian attacker who scored 37 goals with Universidad Católica de Ecuador and who has also been called up by the national team. The last to arrive has been Cristian Benavente for six million euros, being the second most expensive signing of the club. "We have a relative economic position, but not one as strong as Pyramids." Being a big club is not bought, that wins over time. We have to prove it in the field, defend the shirt I am very surprised by the capacity of economic absorption that this team has. We are talking about guys who come with a great performance and to whom, in addition, it is possible that they get economic return with a sale because they are young. We have to go to Egyptian football, we can hardly incorporate from Europe ", account to this newspaper Martín Lasarte, coach of Al Ahly. The critics were not long in coming and, within the framework of Egyptian football, there are voices that do not agree with the policy and the way of acting of Turki Al Sheikh h and the Pyramids. On the other hand, there are people who are in favor and who advocate that the growth of the league can be produced with foreign investment. In that position is Mido, one of the most remembered footballers in the country who currently trains in Saudi Arabia. "Imagine if there were four or five foreign or Egyptian investors giving financial support to the clubs. It would look better football, the fields would be full. The Egyptian league deserves it ", posted on their Twitter account. Controversy is served.